The cats in the 'Cats' movie will be motion capture creations; was that the right choice? 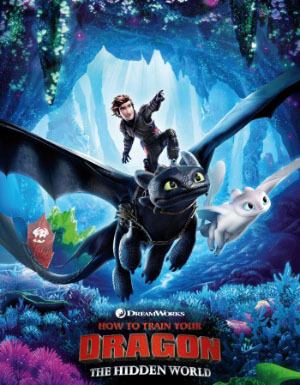 How to Train Your Dragon: The Hidden World (2019) is the latest film in the HTTYD series, the first of which came out in 2010 and was followed by a second film in 2014. Now, after a four-and-a-half-year gap, we have a third one, presumably (?) the last, but even if DreamWorks decides to keep the film franchise going, The Hidden World feels like the completion of a trilogy, all of which have involved Dean DeBlois as screenwriter and director. I'm going to try and avoid major spoilers, so I'll summarize the plot points introduced in the early part of the film. I won't be linking to trailers, because they give away some of the locations and scene gags that are better kept a surprise. I watched a 2D screening, and I haven't kept up with any of the franchise spinoffs or shorts. I'm not a fan of most of the dragon designs or of several secondary characters, but regardless, I've happily enjoyed Hiccup and Toothless' adventures together. 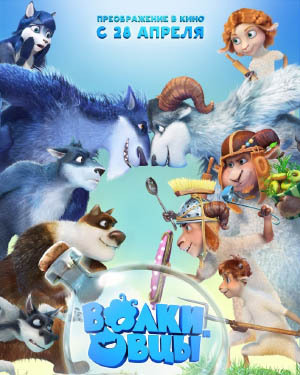 Sheep & Wolves (trailer) is an 85-minute Russian CG-animated movie that came out in 2016, also known as Волки и овцы (Volki i ovtsy). The writing and production took five years by Wizart Animation, whose earlier film had been The Snow Queen (2012). Sheep & Wolves didn't quite break even at the box office, and received mixed reviews. After I watched it, I have to agree it's a middle-of-the-road film. It's not bad, it's not great - it's thoroughly so-so. 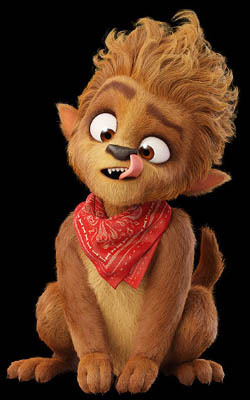 On the positive side, the animation is good and very furry! But the writing... it's for kids aged six and above. 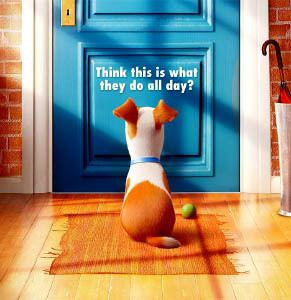 There's not much in it to appeal to adults; it's what I call a "babysitting film". Plunk your tykes down in front of it and keep them distracted for a while. Still, I'd rank it a notch or two above Alpha & Omega. Since Dronon recently posted the trailer for “Bigfoot Junior” on Newsbytes, it seems like a good time to take a deeper look into nWave Pictures. Their main animation studio is located in Brussels, Belgium, while their regional office in Burbank, California has been working diligently to get its pictures distributed theatrically in English in North America for the past decade. 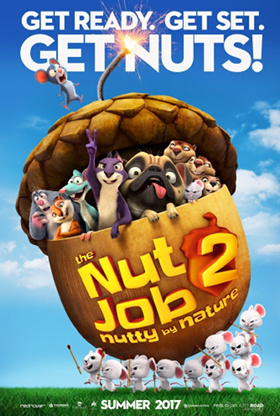 They do get theatrical releases in much of the rest of the world-- but usually have to settle for them going direct-to-DVD as "kid’s cartoons" in the United States. 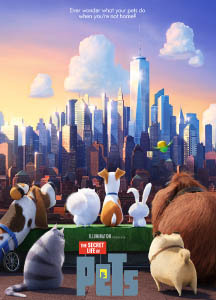 Despite being “family” movies, they’re good ones, and they do feature talking animals. Let's take a look at their history in the animated featured film business to date. nWave was founded by director Ben Stassen in 1994. Its first animation projects were for amusement park attractions and video games. Their first theatrical feature, “Fly Me to the Moon”, which was about housefly astronauts, was released in January 2008. If you were around in 1961, you may have seen an obscure animated feature titled Alakazam the Great, about three friendly monsters – Son Goku (monkey), Sir Quigley Brokenbottom (Pigsy), and Sandy – escorting Prince Amat from China to India. This was part of the first wave of Japanese animated films, known as anime, to enter the United States. The other two features in that wave were Panda and the Magic Serpent and Magic Boy. They were box-office failures at the time, and because of this the anime film genre is still fighting to enter the American theatrical market. Alakazam the Great was also America’s first cinematic introduction to the ancient Chinese story Journey to the West or Monkey King, as it is better know in America. This legend is over a thousand years old in the oral form. It was written into a novel, probably by the scholar Wu Cheng’en in the 16th century. The first Oriental animated feature, the Chinese Princess Iron Fan (1940), is an adaptation of part of Journey to the West. Alakazam the Great, more specifically, is a movie adaptation of Osamu Tezuka’s 1952-59 My Son Goku manga version of Journey to the West. Well, they aren’t human. The first “real” trailer for DreamWorks’ Trolls has just been released. The new Chinese 100-minute animated feature Big Fish & Begonia now has a music video as well as a trailer for promotion. 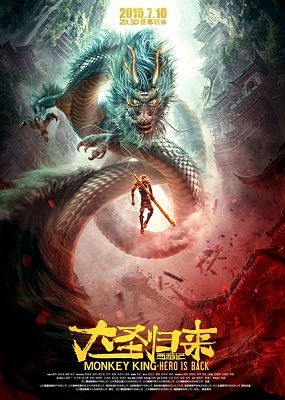 Directed by Liang Xuan and Zhang Chun, and produced by their B&T Studio, the hand-drawn/CG hybrid feature will be released July 8 throughout China. No word on a U.S. release yet. 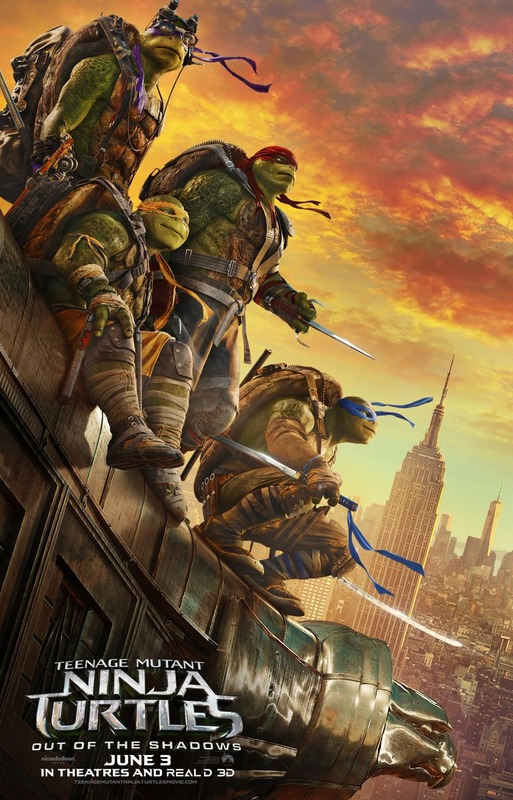 I didn't see the last Teenage Mutant Ninja Turtles movie from 2014, but can you blame me? The film came out to terrible reviews, the new "Shrek" Turtle designs looked ugly, and it was produced by Michael Bay. Though I have childhood nostalgia for the Turtles (although I was born too late for the late 80s TMNT phenomenon), I had no interest in seeing it. Then the first trailer for the sequel, Out of the Shadows, appeared late last year and it looked like it could be good fun. After the first film got criticised for not being faithful to the original cartoon or comics, the fan-service was clearly jacked up in this new movie by giving us Bebop and Rocksteady, Baxter Stockman and Krang to look forward to. Then there was that fantastic final shot of the tank on the rapids; the kind of over-the-top moment that we need more of in action films. So does this movie live up to the promise of cartoon characters and brainless fun? For the most part, yes. 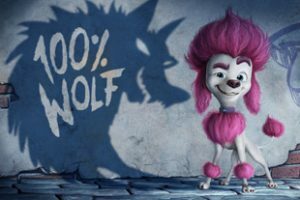 We came across this announcement from Screen Daily: “Kaleidoscope Film Distribution (KFD) is handling world sales on animated feature Danny Diamondback, which Aardman Animation alumni Darren Walsh (Shaun The Sheep TV series) will direct. It’s the story of a young rattlesnake with a musical talent in his tail. The film is based on the children’s novella of the same name, first published by Harper Collins and written by illustrator and production designer Barry Jackson (How The Grinch Stole Christmas). Jackson has written the script and will be heading up production design on the project. Siege Train Studios’ Curtis Augspurger (Valiant), Matthew Hampton, and Cora Palfrey will produce the film alongside Jackson. Bibo Bergeron (Shark Tale) will serve as executive producer.” That’s one heck of a lotta veteran anthropomorphic talent on one project. No word yet on if the film is to be CGI or claymation. Guess we’ll find out after they give us a projected release date!